It’s important to take a few steps to stave off any home breakdowns. Fall is the time to check off any last minute home improvement tasks and we are here to make it as easy as possible for you with our handy list of home maintenance chores. 1. Clean and repair the siding. 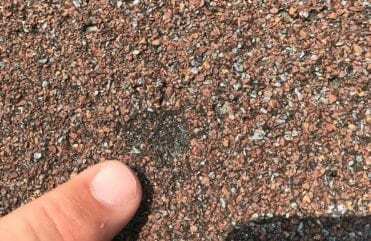 After a long summer, siding can become dirty or mildewed. 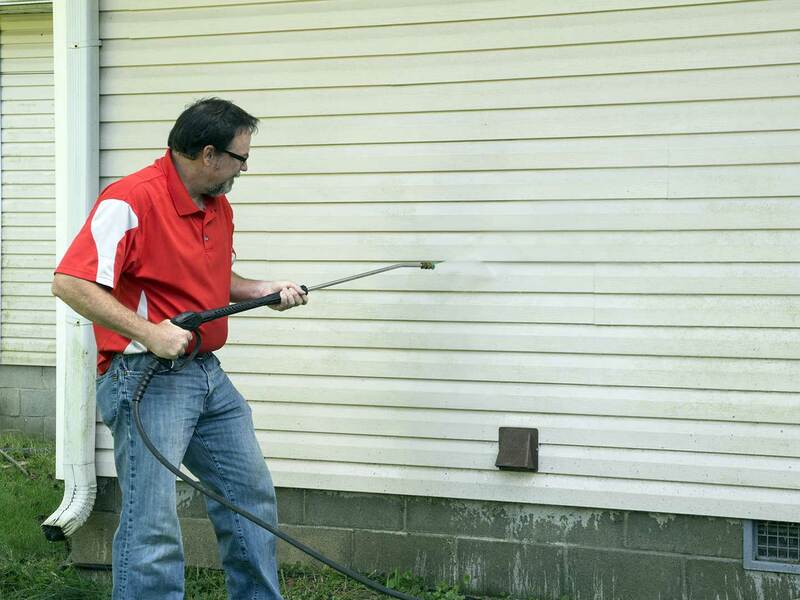 September is a great time to use a pressure washer to clean it up and inspect for more serious problems. If your siding has seen better days (think missing, bent, or cracked pieces), consider replacing it. When using a power washer on wood or vinyl siding, set it at the lowest pressure setting to ensure it does not damage the siding or remove the paint. 2. Make sure windows are sealed tight. All double or triple-pane windows should have a tight seal around their perimeter that separates the individual panes of glass and traps inert gas between them, providing a break between the temperatures inside and outside your home. If you notice that your windows are frequently foggy, that’s likely a sign of a failed seal. 3. Change the air filters and tune up the furnace. This one really should be a maintenance task you do every month. Dirty air filters can lead to higher energy bills and irreparably damage your HVAC system. 4. Inspect the roof and gutters. 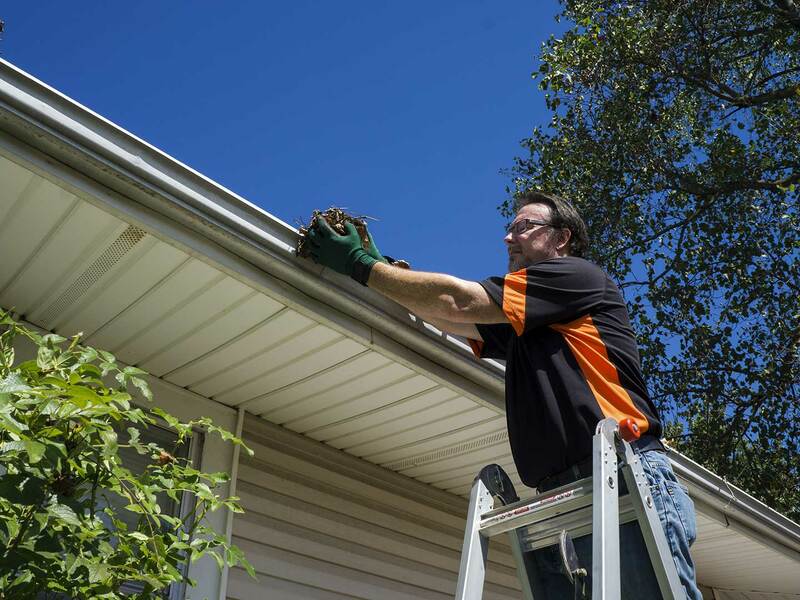 It’s generally fine to wait until most of the leaves have fallen in autumn to clean out the gutters and downspouts, but giving these areas a quick visual inspection now is a good idea. Pull out any sticks or other debris blocking the gutters, and make note of any worn-out seals around vent pipes and chimneys. 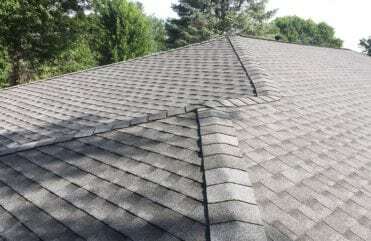 Make sure to take precautions against ladder falls when attempting gutter and roof maintenance this fall. If you do not feel comfortable on a ladder, or have a home of two or more stories, hire someone to do a quick inspection for you. Schedule any needed repairs now so that your home will be buttoned up for the changing seasons. The salesman showed up at the scheduled time and went over all options for types of materials and cost of each type. We settled on our choices for shingles and paper material to be used. 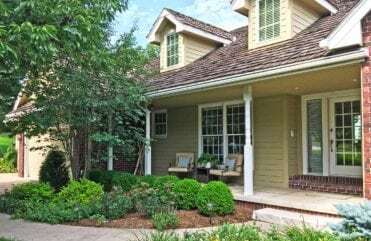 LeafGuard® Gutters were our only choice as we wanted nothing less. Crews arrived and had the re-roofing done in one day. The gutters were being made the same day and installed the next. Very professional work by both crews. We are more than satisfied with the work that was done by Home Solutions of Iowa than anyone else! - Ralph G.
Two weeks ago eight inches of rain came down in less than two hours at our home in Ankeny. We could stand under the gutters and not a single drop of rain hit us. The water was thigh high and the LeafGuard® Gutters worked perfectly! Let me tell you we love them, and would suggest them to everyone. - Gary S.
We had an excellent experience, it was an amazing process, and they gave a perfect result. Could not have been any better! - Don J.